Although Action Comics #976 was probably the most important read this week when it came to the more significant happenings in the DC Universe as a whole, it’s undeniable that The Flash #19 was not to be overlooked, either. Granted most of the issue was spent fleshing out the “Sins of the Father” story arc, but it was the final page that demanded the attention of all. As it turns out, Eobard Thawne/Zoom (could we please go back to calling him the Reverse Flash now that Daniel West is dead?) has broken out of Iron Heights Prison. 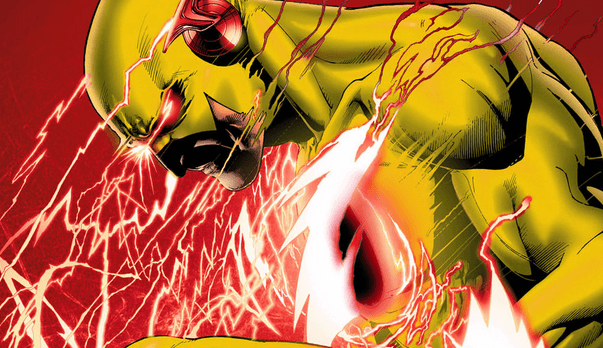 Not only that, but he now recalls the world of Flashpoint – and possibly even the time that preceded the New 52. Now, a complete recollection of past realities is possible given that Superman has merged his pre and post-Flashpoint selves and realities, in addition to the adult Wally West jogging everyone’s memories of in Titans. 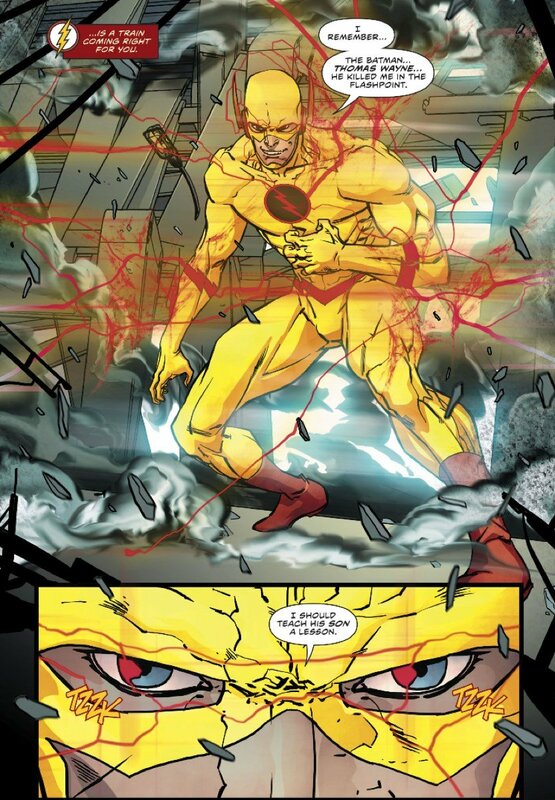 But when you factor in how dangerous Thawne is, well, this could spell trouble for everybody – especially Batman. Now that I think about it, that really does give the title “Sins of the Father” a dual meaning (Kid Flash hunting down his father was the main focus). And while it was previously known that Thawne would play some kind of role in “The Button,” things have now become much clearer thanks to this cliffhanger. The Flash #19 is now available in comic shops.